"Our teddy bears are about love and smiles, and we hope they bring some joy to people in treatment, survivors, and to everyone who supports and loves them through the journey. 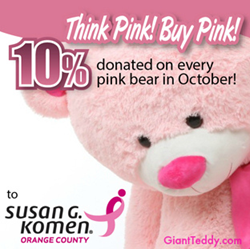 Giant Teddy is donating 10% of all pink teddy bear sales in October to Susan G. Komen Orange County in support of Breast Cancer Awareness Month. 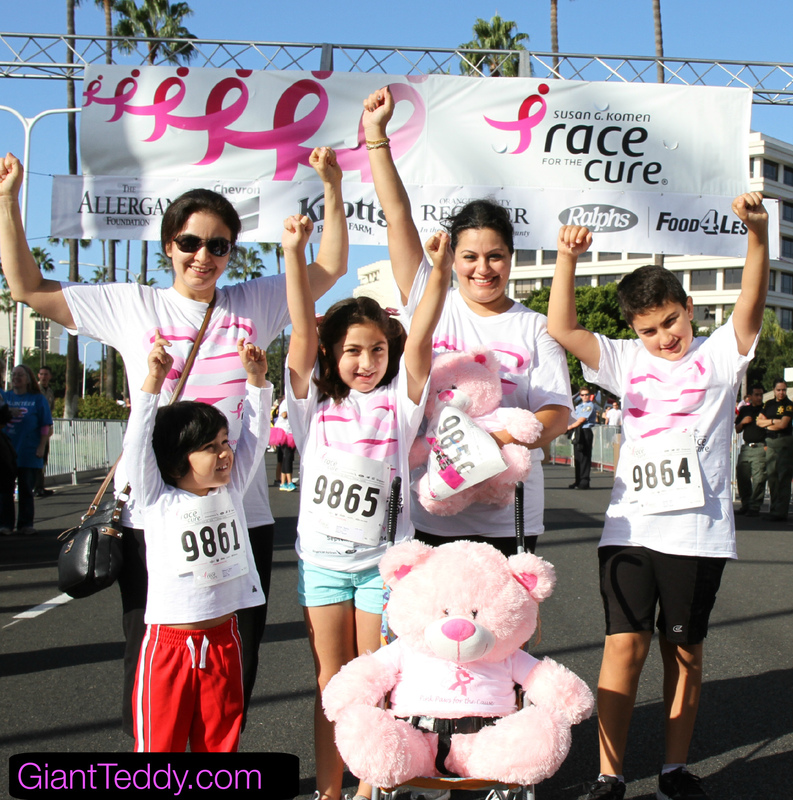 Located in Anaheim, California, Giant Teddy makes bears in sizes from 18in up to 6 feet and has a number of pink teddy bears in various styles, including several wearing “Pink Paws for the Cause” custom designed shirts. In addition to supporting Susan G. Komen Orange County, Giant Teddy also donates a number of pink Lady Cuddles teddy bears to a Texas-based organization, Breast Cancer Can Stick It, founded by triple negative breast cancer survivor and female rock drummer April Samuels. 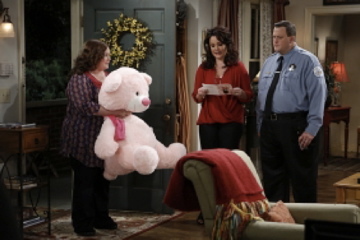 To purchase a pink teddy bear, visit Giant Teddy's Think Pink Page. Follow Giant Teddy on Facebook, Twitter, Pinterest and Google+. Susan G. Komen is the world’s largest breast cancer organization, funding more breast cancer research than any other nonprofit while providing real-time help to those facing the disease. Komen was founded by Nancy G. Brinker, who promised her sister, Susan G. Komen, that she would end the disease that claimed Suzy’s life. Komen Orange County is working to better the lives of those facing breast cancer in the local community. Through events like the Komen Orange County Race for the Cure®, Komen Orange County has invested more than $35 million in community breast health programs in Orange County and has helped contribute to the more than $800 million invested globally in research. For more information, call 714-957-9157 or visit komenoc.org.